Ayesha Ziya is one of the well known perfumists based in UK. After successfully setting her foot steps in UK, Doha and South Africa, she is planning to launch her luxurious oud fragrances in Pakistan. So, for that matter, on 18th May 2016, in a bloggers/press meet up at Karachi Gymkhana, she announced the launch of her brand in Pakistan, this Ramadan. The Oud is an exotic, enticing blend of velvety, floral Oud with evocative, spicy mid-notes, which envelop a sensual arbor of musk. 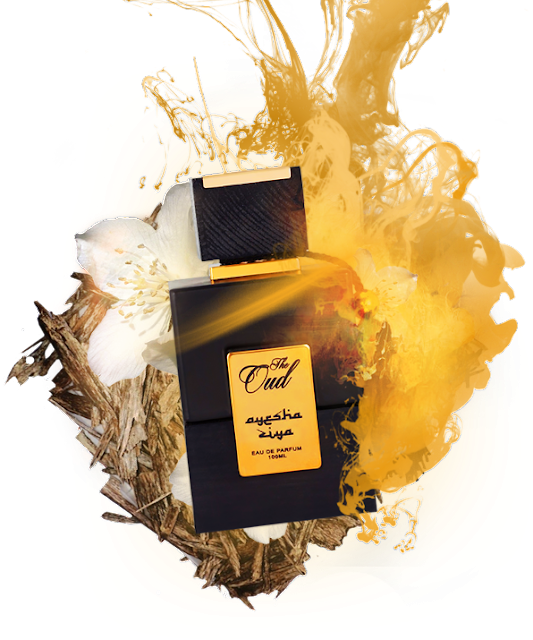 Slip into a warming, voluptuous effusion of rich floral Oud and sensual white musk, and allow your senses to be transported to alluringly exotic, balmy, far-off paradises. The scent of The Oud unfolds, like a desert rose, upon the skin, and is sure to make a lasting impression. Out of the 5, we got to test 'Oud' and 'Irum' in the event but we were given samples of all 5 of the fragrances to test and the best thing is this that all 5 of them are unisex. I do love Oud for burning as incense but my personal favorite for wearing is "Irum" as it is quite feminine and floral. The exact prices are not disclosed yet but it’s said to be with a price range slightly above PKR 5000, which in my opinion is justifiable for the product being Oud and lasting power is just amazing. To maintain the luxurious designer class, the perfumes would be stocked at only high-end salons, hotels and boutiques. I am really looking forward to the launch in Ramadan and I feel these would be quite popular with the local audience. I myself cannot wait to get my hands on "IRUM".